Shopping at Ikea always presents you with a cavalcade of choices: will that Ektorp go well with your Kvart? Or does the situation call for a Knäsjö to tie everything together? But for too long, one fixture of their stores remained out-of-reach for a certain segment of customers. We're talking, of course, about Ikea's famed Swedish meatballs, and the vegans that wanted in on them. Well, their wish has finally come true. 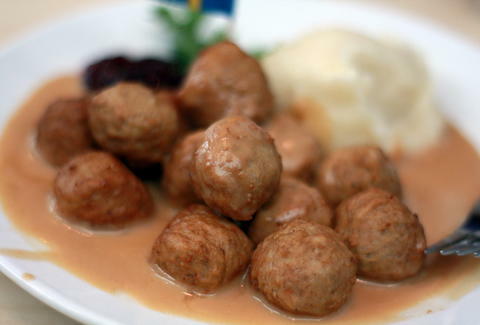 Ikea announced last year that it was developing a vegetarian meatball for its many worldwide locations, but it was only after a lengthy and popular petition by PETA that the global furniture market (and Scandinavian eatery) agreed to remove all traces of animal products from said "veggie" ball, effectively making it kosher for vegan consumption as well. They'll be served alongside Ikea's regular beef-and-pork meatballs. There's no word yet on what the recipe for these vegan meatballs will be, but they'll be hitting stores in April of 2015, with a frozen version coming shortly thereafter. They'll go great in your new Dåtid. Adam Lapetina is a Food/Drink staff writer for Thrillist, and wonders how many unassembled parts he'll have to put together to make the meatballs. Read his musings at @adamlapetina.